Graduated of the ECE Paris and the Sciences University of Nice Sophia Antipolis, I worked for nearly 10 years in the Bouygues Compagny, then I joined the Marketing and Sales Unit of Monaco Telecom, for 4 years. Very attached to my home region and strong of 12 years of experience in real estate, privately, I decided to do my job by creating CotedAzur-Residence.com. I wish to bring a new perspective on the profession, perpetuating a more humane than commercial relationship with clients who chose to trust me. 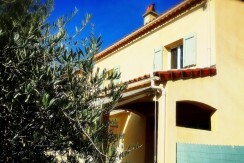 Discover all the CotedAzur-Residence.com’s values, they are the energy and the strengh of the company.